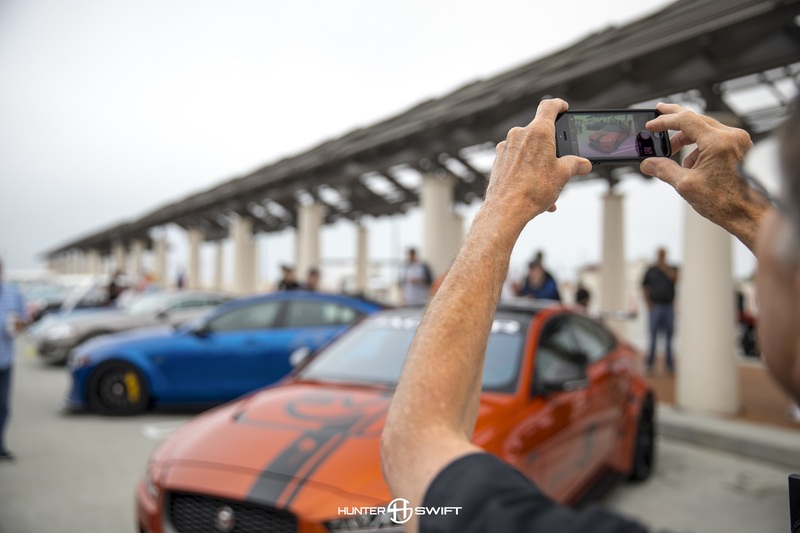 Every Saturday morning across the world are local Cars & Coffee meets, but the original started in Southern California by a group of exotic owners that met to show off their cars and grab a cup coffee. Once people knew that these cars were meeting it quickly grew into an iconic event with hundreds of cars. Over the years though, as the event grew larger, it constantly had to deal with over crowding, people showing off, and property management shutting it down. This occurred again recently at a Cars & Coffee meet in Southern California. 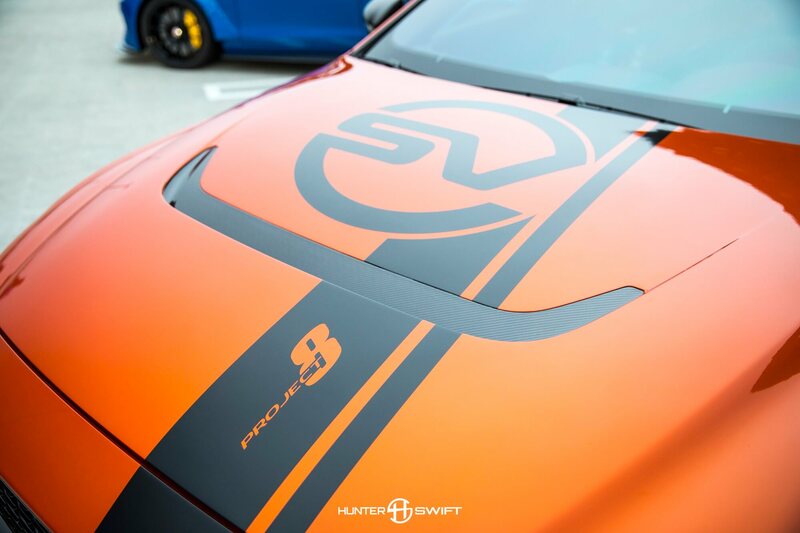 A new venue, South OC Cars & Coffee was started in San Clemente, California in South Orange County. Each week the new venue has continued to grow. 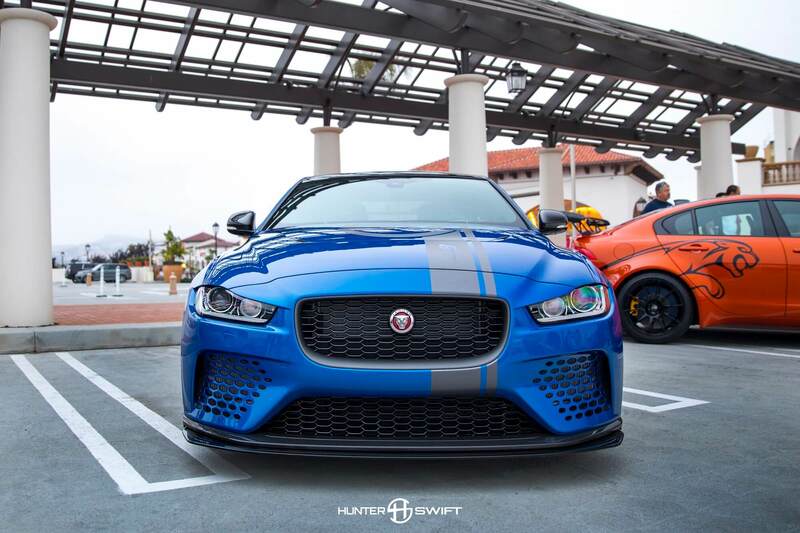 A sign that South OC Cars & Coffee is officially the new Cars & Coffee in Southern California is the fact that this Saturday over 600 cars showed up including Jaguar who pre-debuted 2 Jaguar XE SV Project 8 cars that are going on to debut in Monterey during Car Week in the coming days. 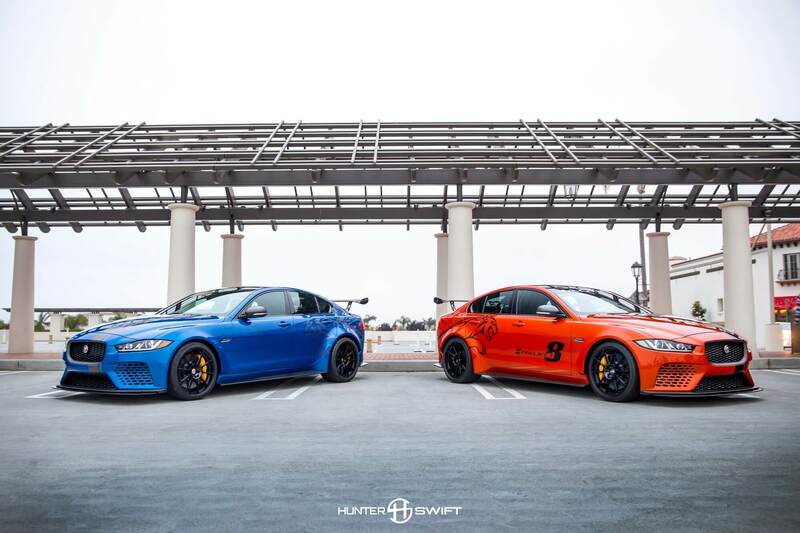 Jaguar brought two variants of the Project 8, a Velocity Blue four-seater and Valencia Orange two-seat track pack version complete with roll cage, race seats and 5-point harness. Unfortunately, the track version will not be available to purchase in the United States. 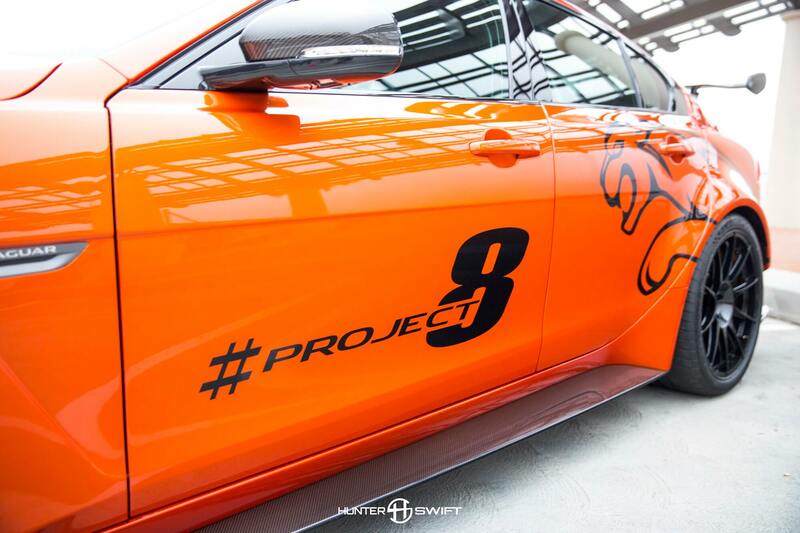 Project 8 is a creation of Jaguar’s Special Vehicle Operations (SVO) team. 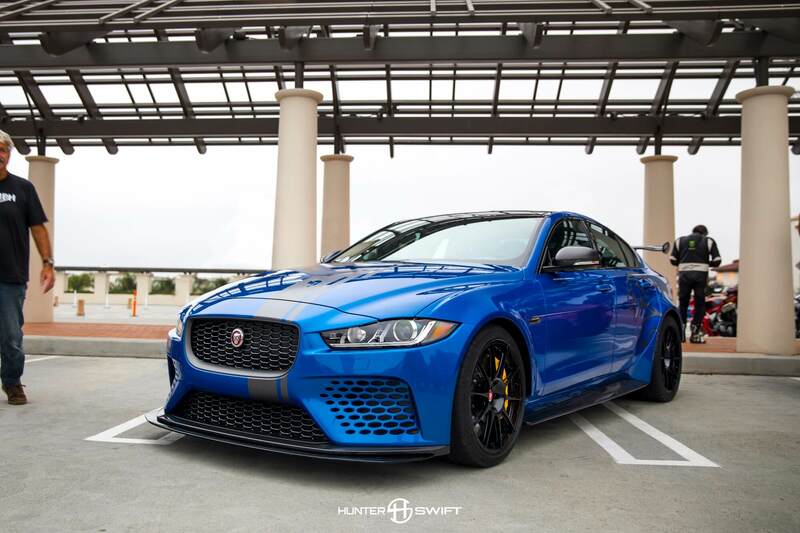 The XE SV Project 8 is Jaguar’s most powerful street legal vehicle they have ever made. 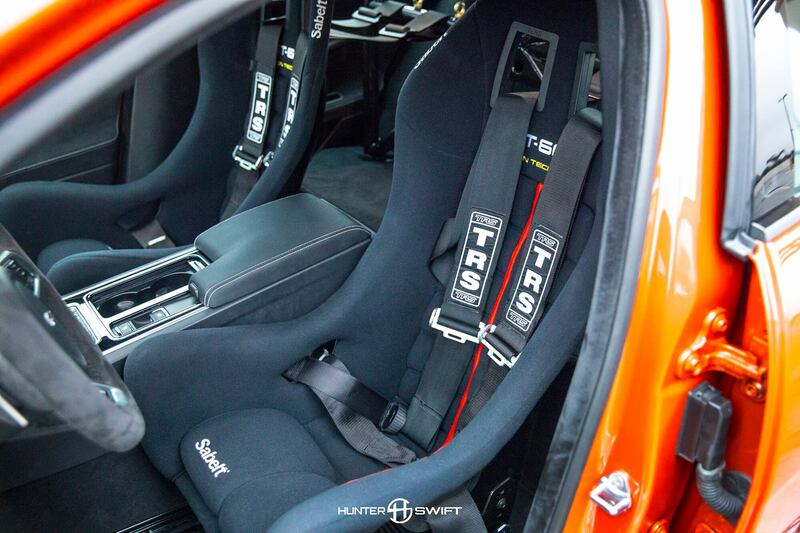 The Project 8 is a track-oriented all-wheel-drive super sedan with a Zeta 8-speed automatic and 600hp from a 5.0 supercharged V8 (a higher tuned version of the F-Type R and SVR motor). 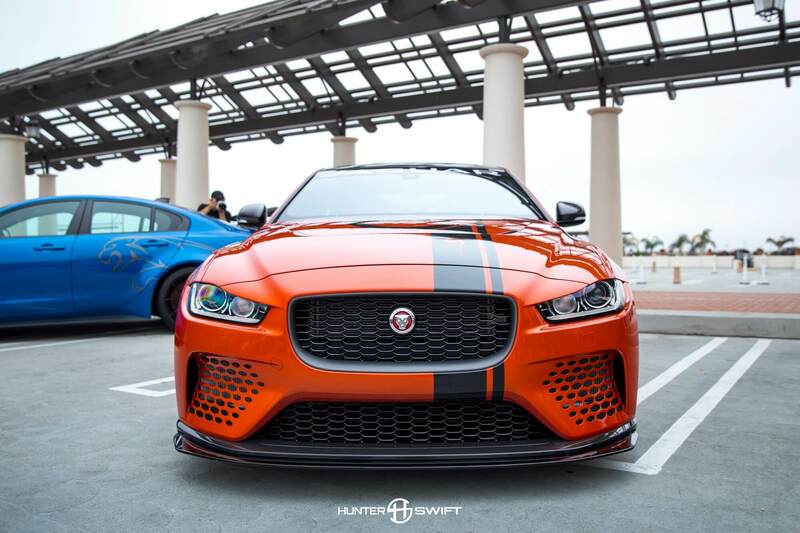 The first thing you will notice about the styling of the Project 8 is wide fenders and the carbon fiber hood vent, front splitter, side skirts, rear diffuser and spoiler. 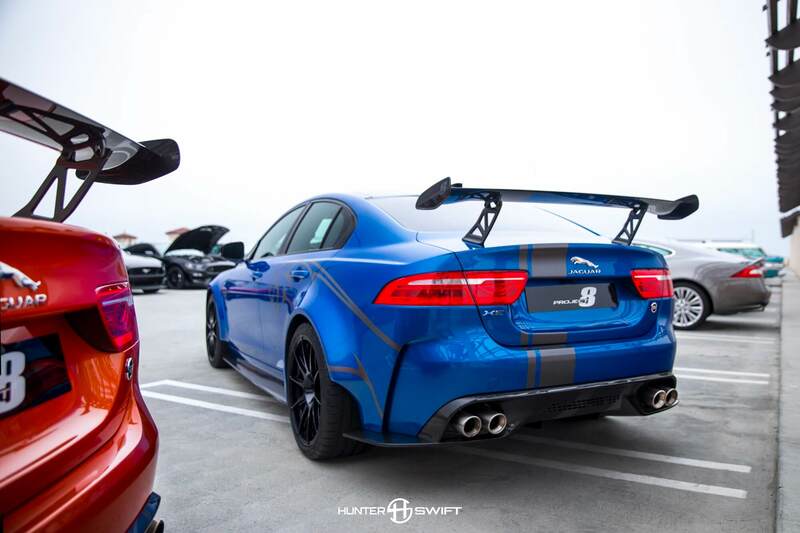 The spoiler is a perfect size for the car and looks very aesthetically pleasing unlike the spoiler on the BMW M4 GTS or an oversized wing you see on a Porsche GT3RS. 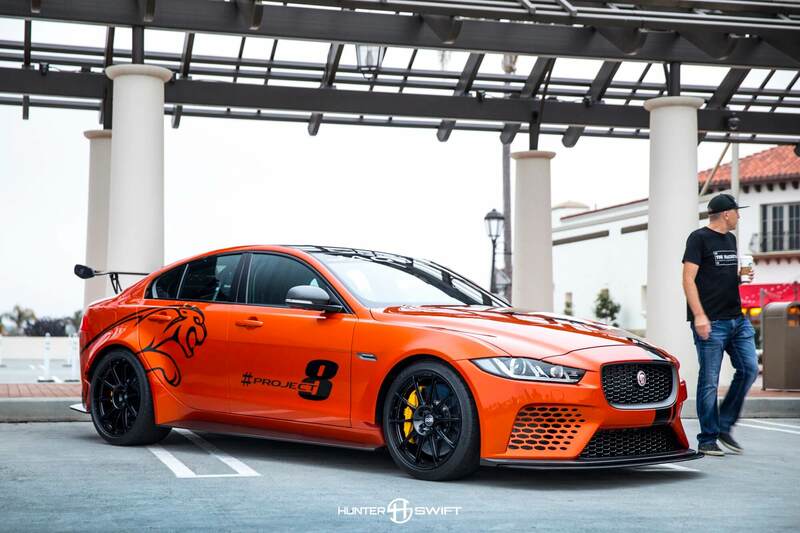 The Project 8 is still easily identifiable as a Jaguar but the only parts on the Project 8 that are retained from a regular XE is the two front doors and roof panel, everything else has been changed. Even the front of the car and headlights have been moved forward by 14mm to accommodate the 20” wheels and 400mm Carbon Ceramic brakes with huge 6 piston calipers. SVO designed this car to put down fast lap times, low 0-60 times, and a plus 200mph top speed. 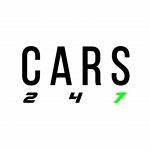 It has already begun testing on the Nürburgring which could result in a new king to be crowned in the Super Sedan Class which include the Porsche Panamera Turbo, Alfa Romeo Giulia Quadrifoglio and Cadillac CTS-V. The Project 8 is hand-built, limited to only 300 worldwide and will retail for approximately $190k (£150k) and will be available in 2018. 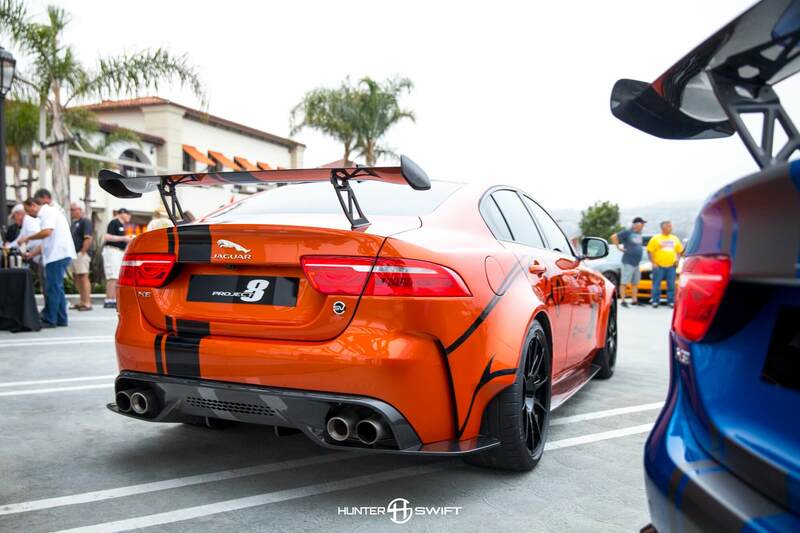 The Project 8 was the highlight of South OC Cars & Coffee and anticipate more OEMs and Builders to debut more cars there in the future. So if you are ever in Southern California on a Saturday morning make sure to stop by you never know what you just may see.